Since July 2017, the northeast region of Thailand has been affected and inundated by monsoons. As of 1 August 2017, there were 5,366 villages in 43 provinces have been affected. 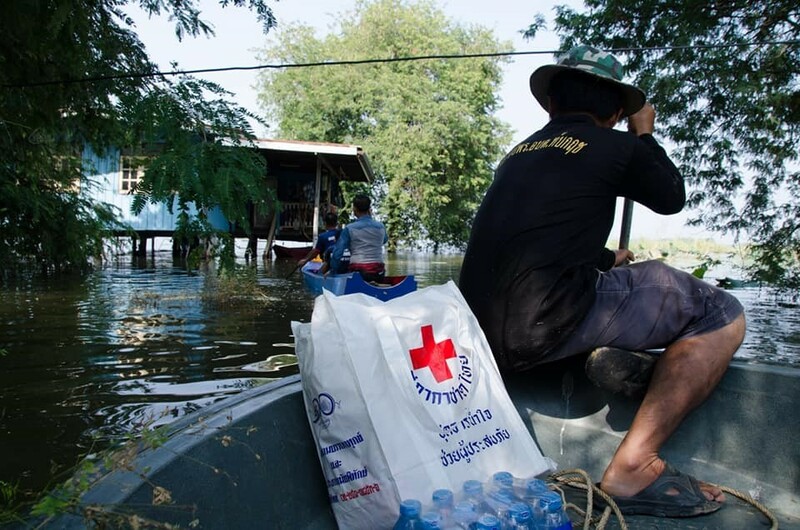 The Thai Red Cross Society, has provided relief in the flooded areas after the disaster struck. Relief Kits consisting of food, drinking water and useful daily items were distributed. 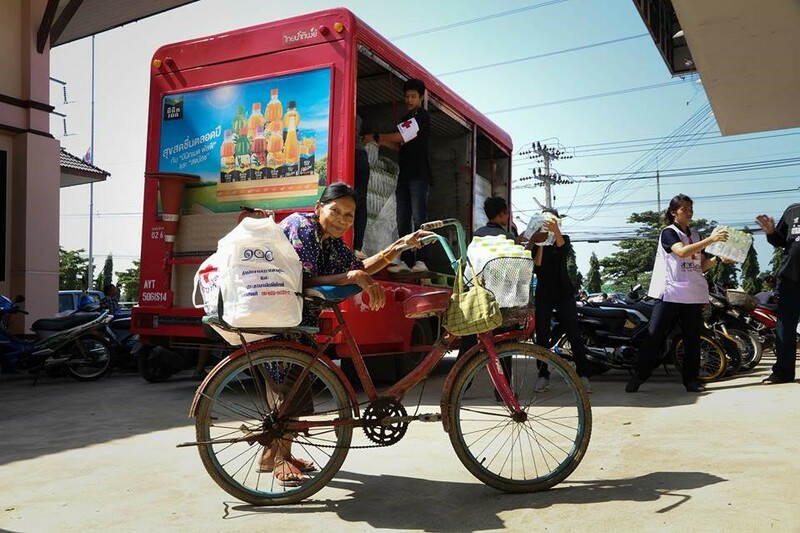 As of 5 August 2017, 8,432 relief kits, worth over of 8,432,000 baht have been distributed to families in 10 badly affected provinces in Sakon Nakhon, Ubon Ratchathani, Sisaket, Lopburi, Roi Et, Surin, Nakhon Ratchasima, Phichit , Chaiyaphum and Mukdahan. 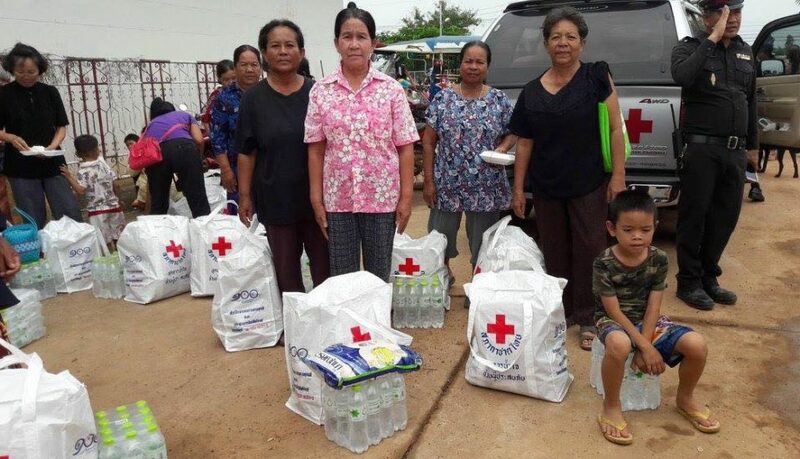 Her Majesty Queen Sirikit, President of the Thai Red Cross Society also designated Mr. Phan Wannamethee, Secretary General of the Thai Red Cross Society, to be a representative to distribute 2,375 relief kits to flood victims, in Mukdahan and Phichit. All Red Cross Chapters are under alert and prepared to help victims until the situation is resolved to normal. The heavy rains which started from the beginning of July until late October 2017 had led to a severe flash flood and flooding, and has affected many provinces in north, northeastern and central Thailand. The impact has spread wider, according to the Thailand’s Department of Disaster Prevention and Mitigation (DDPM) report on 1st November 2017, the resulting floods affected 23 provinces, 79 districts, 479 sub-districts, 2,820 villages, 125,716 households, 326,072 people and caused 10 deaths. The 23 affected provinces are Chiang Mai, Loei, Kampangphet, Tak, Sukhothai, Pichit, Nakornsawan, Utaithani, Singburi, Lopburi, Angthong, Ayudthaya, Phatumthani, Chainat, Petchaboon, Supanburi, Nongbualumphu, Khonkhen, Mahasarakham, Kalasin, Roi Ed, Ubonratchathani, and Suratchani. The government at provincial level, DDPM and TRCS have been assisting by distribution relief kit and food and non food item to affected population.